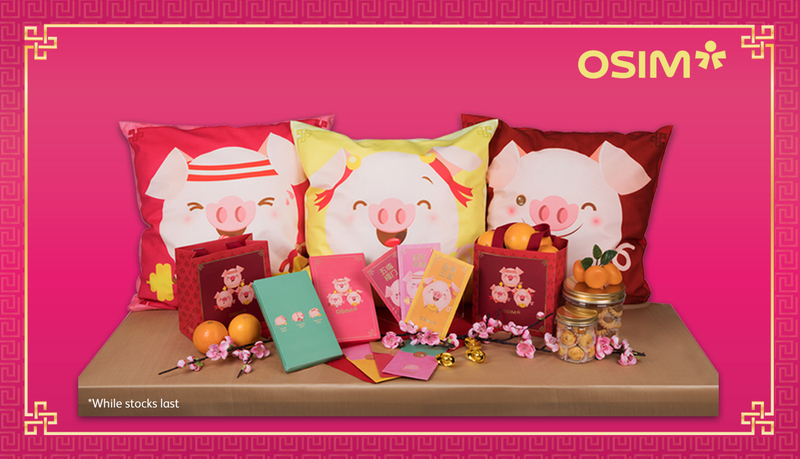 Spend a min of $50 within the mall for a lucky spin to win limited edition Zhu Bao Bao (猪宝宝) Collectibles. Participants must make a minimum purchase of S$50 in the mall from 14 January till 17 Feburary 2019 to qualify for 1 (one) spin. Every $50 spent in the mall within a single receipt is entitled to (1) one spin. Premiums won are not exchangeable/refundable for cash. Not valid in conjunction with any other vouchers. OSIM International Pte Ltd reserves the right to reject any redemptions that have been tampered with or deemed unacceptable in any way. All receipts must be redeemed by the same day of purchase. Stamp redeemed on every receipt upon redemption. OSIM is located at North Wing, #02-454/455. You may use our NEW Interactive Directory on your mobile phone to find your way to your favourite shop, brand or product. Visit quickguide.sunteccity.com.sg.